Pink orbs are thought to be harbingers of love and peace. The messages and meanings of pink orbs vary, but all are positive in their intent. A sensation of overwhelming peace is often experienced with a pink orb. The feelings of great love and acceptance have been reported by those witnessing this color of orb. Some people describe a powerful feeling of kindness emanating from a pink orb. A wellspring of hope is often experienced upon seeing a pink orb. Regardless of the interpretation of the meaning of pink orbs, it is clear that this color is associated with the strong emotion of love. This can be A message of all kinds of love as well as peace, hope and kindness. Many people believe pink orbs are the spirits of ascended masters, guides, teachers and archangels. One interpretation describes pink orbs as spiritual guides who visit during a time of personal crisis, either a life event or a spiritual crisis. Unconditional love is often ascribed to pink orbs. A pink orb is often believed to be that of a deceased beloved family member. Messengers of hope. For someone who is going through a crisis, the sudden appearance of a pink orb may be a spiritual messenger of perseverance and hope. For others, the pink orb may arrive to convey a simple but life-changing message that they are loved and not alone. Not all pink orbs are the same value of pink. These can range from light pink to dark rose, mauve and may have tinges of light and dark pink within a single orb. As with all things metaphysical, much is dependent upon interpretation. Nothing is set in granite. Pale pink: An open, compassionate and loving spirit is paying you a visit. Pinkish orange: This salmon color reveals a blend of kindness and authority. 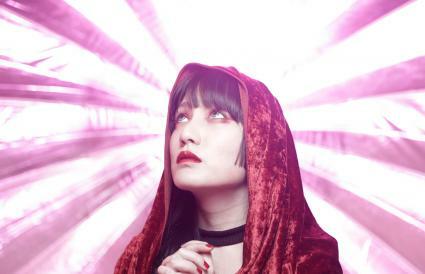 It may be a spiritual guide contacting you to encourage you to get on with your life lessons. Mauve: This color is infused with pink and purple and reveals a highly evolved soul, such as an ascended master or archangel. Fuchsia: This is another color created with pink and purple blending. This color tends to be brighter than mauve and is the color of angelic beings. 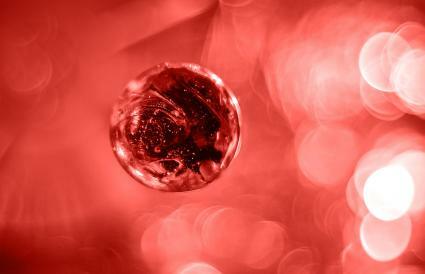 Bright pink: This orb contains lively active energy sent to bestow to you the joy that love brings. Magenta: The combination of blue and pink often announces a spiritual being that has transcended the human experience to the realm of pure spirit. Universal love is conveyed by this range of pink orb. Dark pink: This orb spirit often shows up when a person is having a difficult time and feeling as though all hope has deserted you. This spirit orb arrives to remind you there is always hope, and you are surrounded by love. A pink aura demonstrates the person's root chakra is open and transcending its earthly challenges. A pink orb can be drawn to this person simply as like attracting like, such as a moth to a candle flame attraction. Pink orbs may also be teachers or guides who have schooled the person on a deep spiritual level and appears to show support and/or congratulations. Open and active chakras are often reflected in the person's aura. Few auras are just one color. They can be a rainbow mix or a combination of one or more colors. 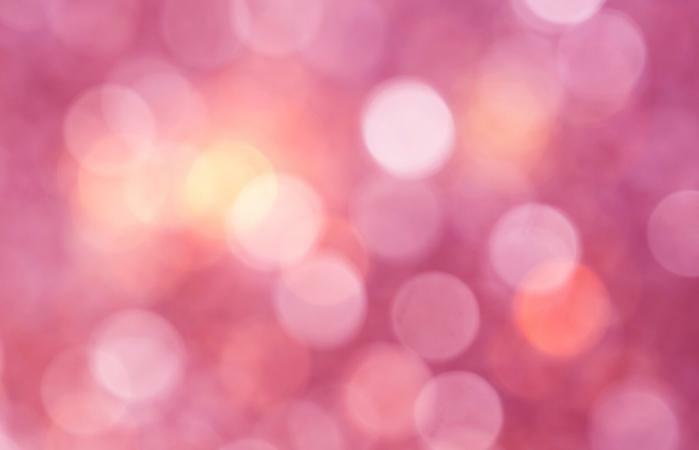 A pink aura isn't very common; however, when it is prevalent, it reveals someone unable to contain the universal love they feel. The root chakra, also known as the base chakra is the first one. It's located at the base of the spine. It is the seat of primal survival instincts, passion and the desire for security to ensure survival. The chakra color is red. 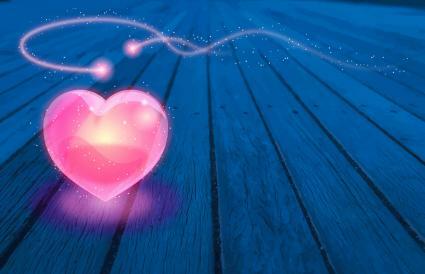 A pink aura reveals a softening of these powerful emotions and desires through the acceptance of love. The love energy imbues confidence in the soul's ability to survive, security in the emotions of passion and love, and the acceptance of life, death and rebirth. A person with a pink aura has achieved soul freedom from these fears and desires that teether it to an earthly life and the human condition. These things often interfere in the journey to higher consciousness. Pink aura people have managed to harness the eternal love energy to lift their vibration/frequency to that of universal love and the ethereal realm. You can use general and popular meanings and possible messages assigned to pink orbs. However, the ultimate interpretation should be from your inner self based on emotional responses, mental images and specific thoughts you have at the time of your sighting and possible interaction.